The world may have been turning for many millions of years, but our cycles of creation and destruction happen repeatedly during this time. Yesterday one era was swept away, today a new era is stabilised. 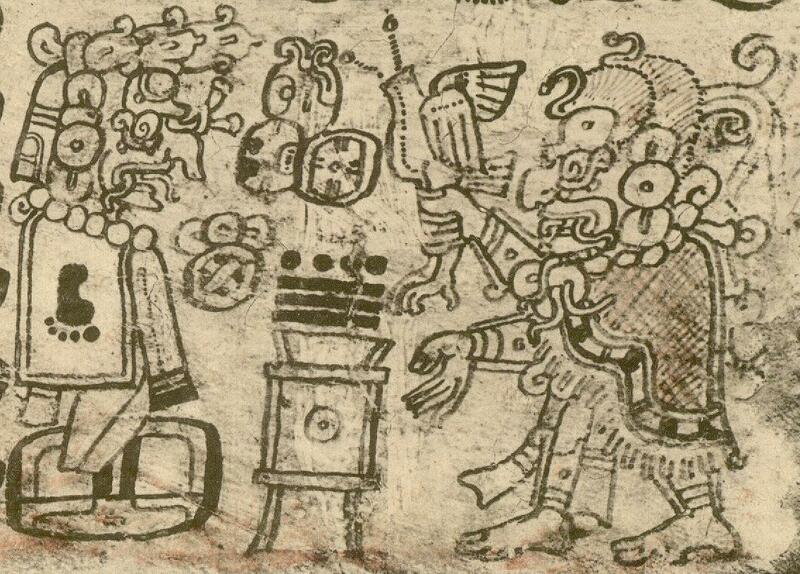 The Maya calendars work in cycles which range from short to very long. The short cycles may be 13 days or 20 days. The longer ones 260 days, 52 years, 260 years, or even much longer. Each small cycle is a fractal of the larger ones, over the 20 days of the sacred calendar we can see the whole of story creation and the evolution of human consciousness. One of the longer cycles is the 13 Baktun era. 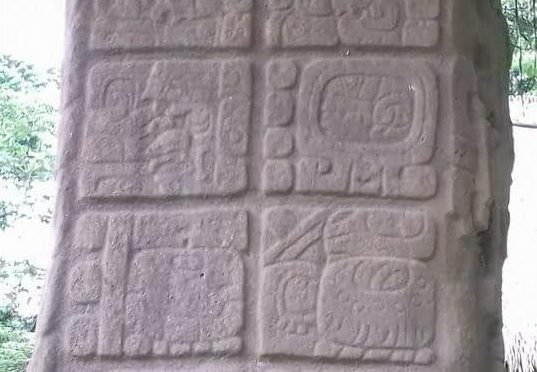 The start of one of these is recorded at Quirigua on Stella C, as 13.0.0.0.0 4 Ajpu 8 Cumku, which is generally thought to equate to August 11th 3114 BCE. This is said to be a creation day for the era in which we live and each 4 Ajpu day marks a day when we re-create. 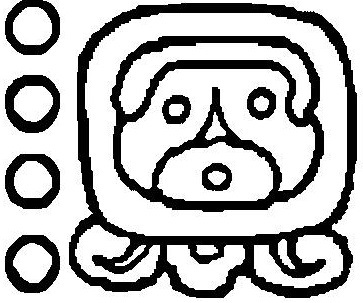 If we took the 4 as representing the Sun and Ajpu translated as Lord, this is the day of the Solar Lord, Kinich Ajaw. Whilst the world may be physically present, Ajpu brings the divine aspect into it, it brings the colours to the planet. The day 4 Ajpu is when that soul is anchored into the physical, it brings divinity to our surroundings. 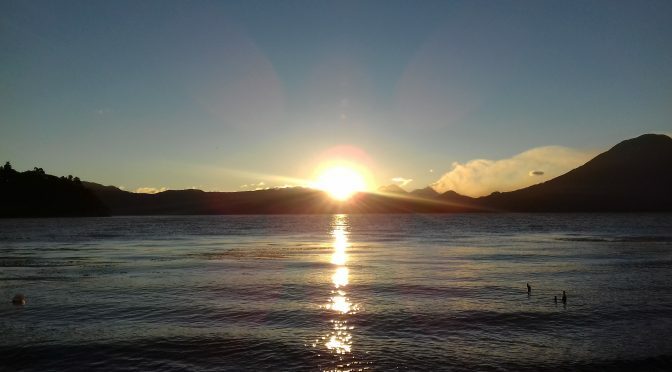 As the number 4 is particularly connected with the Sun, it can also be seen as bringing the light back into the world again. Today is a day when leadership may be stabilised into the physical world, after a period of destruction or loss. It is what was conceived through the ancestors on the day 13 Aq’ab’al. It is a time when we may start to see the new light returning to the world, the beginning of a new era, particularly for the next 260 days. It gives us the opportunity to explore this new aspect of creation, to see it with new eyes and look for the holiness we might be able to find within it. It has been stabilised into the physical world, and when we are able to see it around us, we become able to see it within us. Kinich Ahau, the solar deity, lord of space and time. 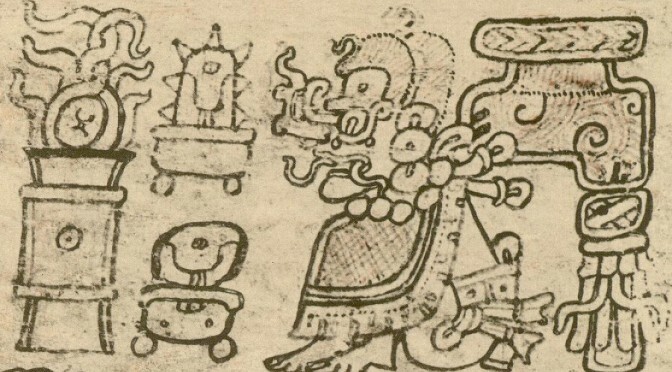 From the Dresden Codex. Ajpu represents the holiness in life, the divinity in the physical world, and our search for it. It is that moment when you look closely at a flower to see the beautiful detail, the moment when you see the magnificence of the landscape you live within, the beauty in your child’s eyes. It is the random act of kindness that restores our faith in humanity. It is the search for the underlying meaning in all situations, understanding that each person is a part of the whole. Whether we like it or not, and however we judge it, we are all a part of creation. Our every action, and every action of others gives us the opportunity to explore ourselves and our reaction, whether we are attracted or repelled by the action of others. However, sometimes Ajpu can lead us to become immersed in the other world, to lose sight of reality, it is important to remember to stay in touch with the Heart of the Earth as we reach to the Heart of the Sky.